My choice is Michael Franks. He's a jazz musician that I discovered during my college days. I couldn't find any video of him. However, here are two of my favorite Michael Franks' songs. Both are on my iPod right now. I hope you enjoy his flow. Asante sana to Mrs Grapevine and Ms Marvalus for creating Old School Friday. I encourage all villagers with a blog to participate in this weekly meme! NO NO NO NO!! 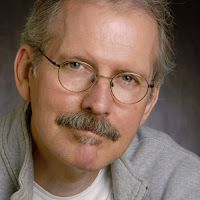 Michael Franks is not out of the box!! He's an undercova brotha from anotha motha....NOT FAIR, Villager lol !! aaahhh, very smooth! great picks! Michael Franks is a smooth sound. He may be out of the box for some folks but I know his music well..
OK he has a smooth groove going. You learn something new everyday. Thanks Villager. I have never heard of him, so I have learned something musically today from you! And I thank you! Yup--I have some Michael Franks in my iTunes library. I listen to him whenever I want to feel like I am relaxing on a beach somewhere. Nice pick! A lot of great clips on YouTube also. Two of my faves are Chez Nous and Island Life. If you're going to make a purchase though you can't go wrong with Blue Pacific. Especially this time of year. Anyone seen him live recently?